And ten simple words kept me up most of the night, thinking. 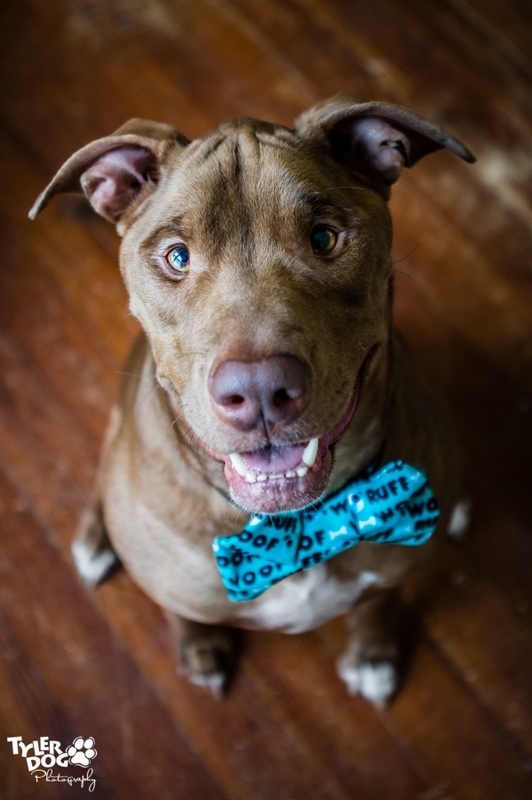 Friday, I had my regular TylerDog rescue shoot at Tulsa Animal Welfare. It was special because I had a lot of kids come help given it was Spring break. It was so much fun getting to see them loving on the animals and truly feeling like they were doing something meaningful, which they were. At the end of the shoot, Desi, the youngest one at eight, asked if we could go back and look at puppies. So all of us headed back to the kennels in search of puppies, but what we found pretty much stopped us in our tracks, especially Desi. The minute the words left my mouth, I knew I had just lied to an eight-year-old. She wasn’t going to be better. 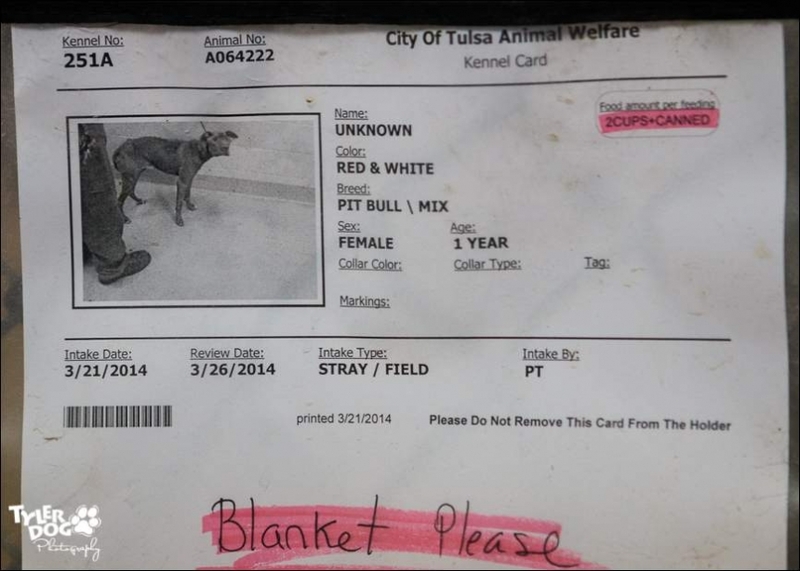 She most likely would be euthanized once her stray hold was up. Why? 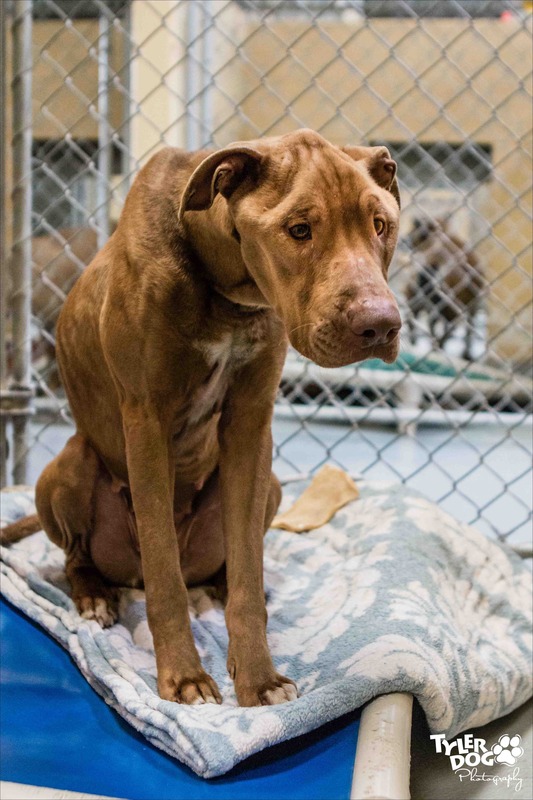 Because those of us in rescue know an emaciated dog that obviously lived on a chain and was starved to this point is most likely not going to pass any temperament tests, which includes food and dog-to-dog aggression. A dog like this needs time to heal and acclimate and get better before testing. Yet we all know in a municipal shelter environment, that time simply does not exist. 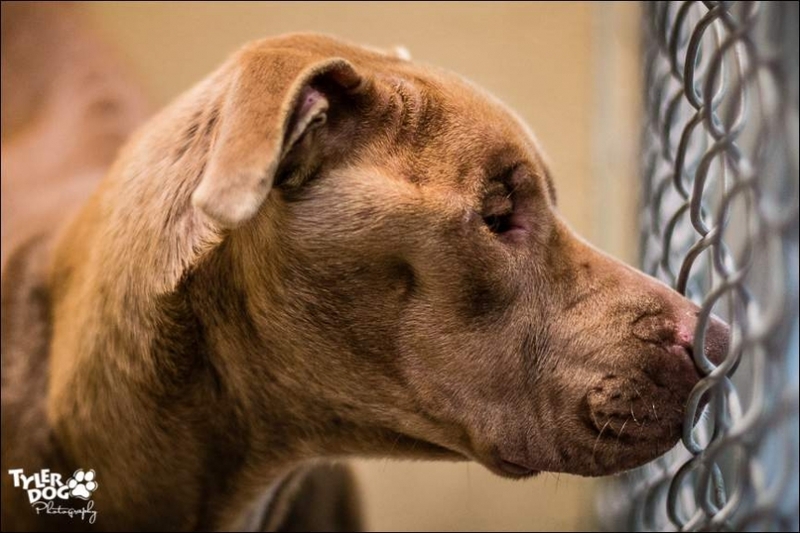 As the weather warms, intake increases, and the number of available kennels decreases. They have to make decisions, unpleasant ones, of which dogs and cats make it and which ones won’t based on a lot of factors and with all the odds stacked against her, a dog like “Unknown” wouldn’t stand a chance. When I awoke this morning, my heart was troubled and I knew I had to do something. 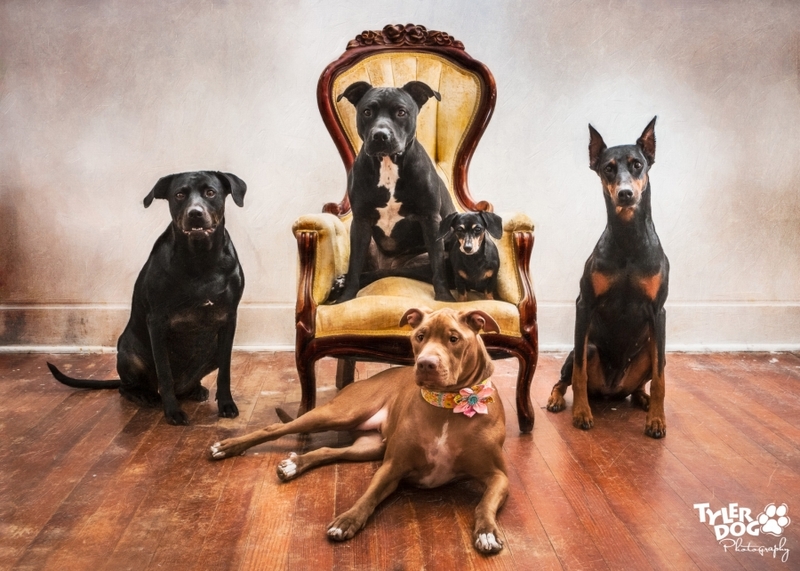 I texted a friend who helped at the photo shoot and said, “What dog’s your most stable?” She replied and I said, “I can’t quit thinking about that red Pittie. I want to do something.” Kelly responded she felt the same way, so we both headed to the shelter. 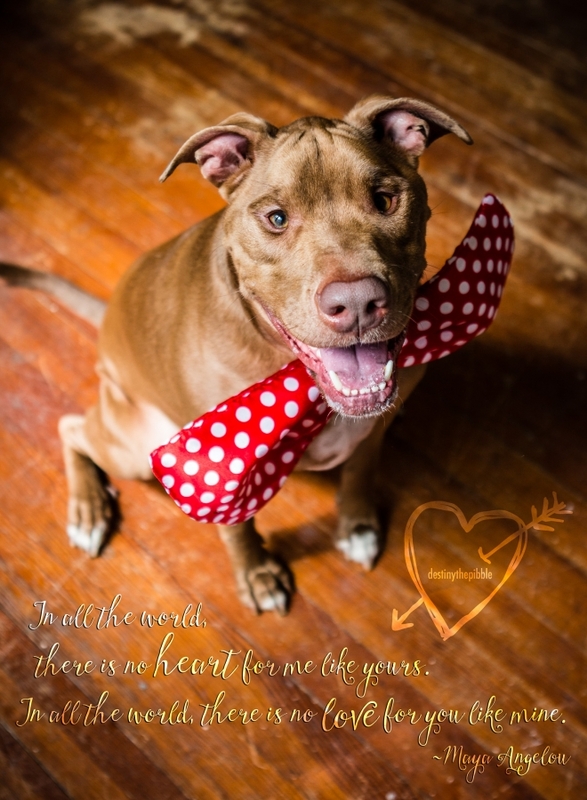 In the meantime, I contacted a rep with a local pit bull rescue and asked, if we were successful with Unknown and I pulled her, would they help promote her on their rescue site if one of us fostered and nursed her back to health. Bless their hearts, they said yes. So now I had a mission. I arrived with two packages of treats, Kelly brought treats and her dog, Mia, in case we were successful in reaching the testing stage. We walked back to the kennel and there she sat: still labeled as Unknown. Cowering in the corner of her kennel. I opened the door, sat down on the floor, and opened the first bag of treats. I reached one out to her and she growled. So I tossed it her direction. She snapped it up. Over and over, I tossed treats, eventually getting to the point they were closer to me than they were her. And each time she cautiously came to get them. Then I held the treats out in my hand and she gently took them from me. Each time, my hand came closer and closer to my body until she was standing right next to my leg and was letting me touch her with one hand while she ate from the other. The first time I touched her, she flinched and froze. I knew someone’s touch had not been so kind and she remembered it. So when she came close again, my hand brushed her body again. After the third time, she no longer flinched. I knew we were making progress. After awhile, I decided to take her outside, so I asked for a leash, looped it around her, and she gladly walked outside with me. She was still scared, but I noticed right away her tail was no longer tucked between her legs. We walked quietly and slowly. I didn’t speak to her other than soothing sounds one would make when comforting a baby. Each time she came close, I touched her so she’d know my hand wasn’t one of anger or violence, but one of caring and love. We walked past another dog and she sniffed and greeted him quietly, even though he was bouncing around like a nut. So far, so good. We stayed out a bit longer, then decided that was enough excitement for the day and walked her back to the kennel. My friend and I talked about what to do and made sure the shelter staff knew to put a hold on her for one of us once her stray hold was up the following week. As we walked out, I decided I wanted to go back in one more time and see her again, so I took my camera and back in we went. This time, it was a completely different story. She saw me approach and her head went up. Instead of cowering down in fear, she looked me straight in the eyes. It was almost like she was saying, “Okay, you were patient with me when I was scared. I just was waiting to see if you’d come back.” I snapped several photos of her and as I sat there in front of the gate with it open, she walked up and let me gently pet her the entire time. It was all I could do to not break down and cry because I knew what it took for her to trust me enough to let me touch her like that. She finally decided she’d had enough and went over to her bed and blanket, curled up, and laid down. She watched me the entire time, then she put her head down to sleep. I gently touched her cheek and whispered, “I love you, baby girl.” And she lifted her head, looked me straight in the eyes and blinked, then laid back down to sleep. It was like she acknowledged my words. And that’s when the tears fell. I told Kelly, “All she needs is time and love and patience. She’ll learn she doesn’t have to be alone anymore. Or scared. Or hurt. Or hungry. One of us is going to take her and give her a chance…” and Kelly agreed. For those who’ve asked, Destiny never went to a rescue. 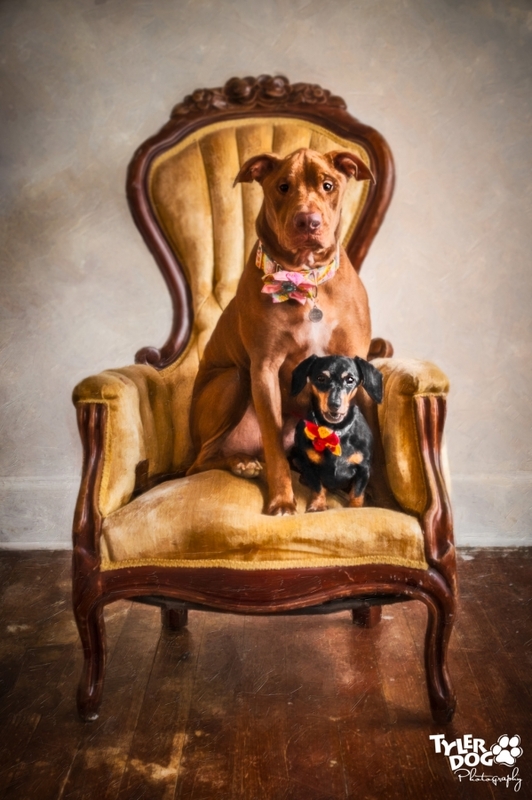 She ended up staying with me permanently, where she now lives happily ever after with her best friend, Jazzy the Amazing Wiener, and sisters Katie the Doberman Pinscher, Xena the Pit Bull, Maggie Monster, Andi, and unexpected addition, Imogene Louise Threadgoode, otherwise known as Idgie. Update February 2018: After Destiny’s best friend, Jazzy, passed away unexpectedly in 2017, Destiny started exhibiting unusual behavior – didn’t want to eat, saying no to treats, etc. At first, it was thought to be mourning her best friend, but after a few vet visits where everything checked out physically, I became increasing concerned. After desperately researching potential issues, I kept coming back to one awful possible diagnosis: an autoimmune disease with no cure. After a crazy expensive blood test and interminable wait while it was sent off, the results came back off the charts: Destiny had chronic Masticatory Muscle Myositis, an incurable autoimmune disease where the immune system goes a bit haywire and attacks a particular fiber (2M) in her head, which causes muscle wasting and her head’s unique shape. She likely had it when we rescued her, but unfortunately, we took the advice of our previous vet who dismissed it as starvation. Our new vet, Dr. Lori Freije of South Memorial Animal Hospital in Tulsa, has successfully treated MMM with Western and Eastern medicine, as well as acupuncture. Destiny is currently getting treatment and as of 2019, we believe is successfully in remission. She’ll never be cured of the awful disease, but we will diligently fight it every single day to keep her happy, healthy, and pain-free. To see all of Destiny’s photos, visit TylerDog Photography on Facebook. 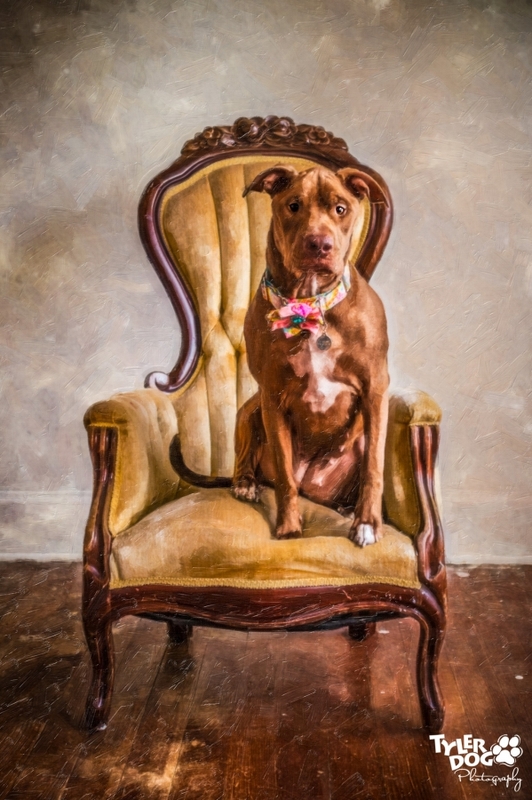 You can follow Destiny’s daily life at Destiny the Pibble on Facebook and Destiny’s Instagram. Destiny is also part of I’m Not A Monster – representing rescued “monsters,” spreading good cheer and helping other Pibbles get their second chance – with the annual Destiny’s Monster Holiday Drive, benefiting homeless pets in shelters and rescues. To learn more, read Destiny’s story in her own words.